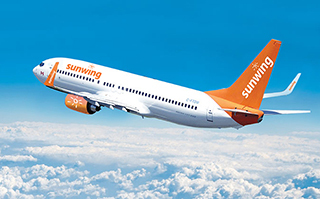 Sunwing has announced the return of its domestic flight service for summer – marking its 14th-consecutive year. Sunwing Airlines will offer daily flights between Toronto and Vancouver from 13MAY through 4SEPT, and weekly flights departing Thursdays from 5SEPT to 10OCT. Those looking to head to Canada’s far east can take advantage of flights from Toronto to three cities in Newfoundland. From 12JUN to 4SEPT, travellers can take advantage of five weekly flights to St. John’s from Monday to Friday. Twice-weekly flights will be offered to Gander on Tuesdays and Fridays from 18JUN-3SEPT and from 12JUN-4SEPT the tour operator is offering weekly flights departing on Wednesdays to Stephenville. Clients who book by 30APR can enjoy savings of $200 per couple. For additional perks, including priority check-in and security line access at participating airports, customers can upgrade to Elite Plus from just $50 per sector.